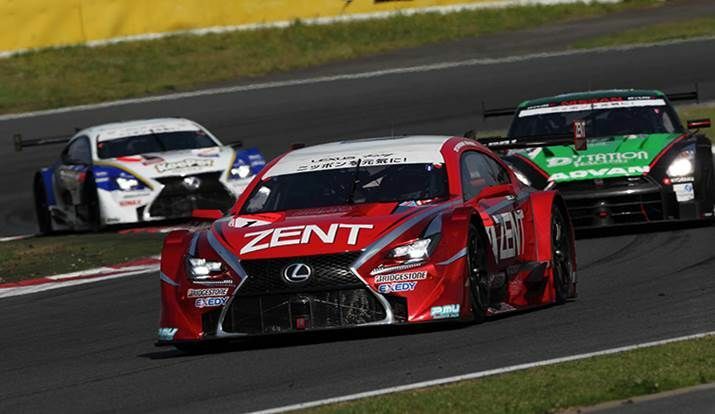 The second round of the Super GT series, the Fuji GT 500km Race, was held on May 3 and 4 at the Fuji Speedway in Shizuoka Prefecture. The ZENT CERUMO RC F #1 racing team of Yuji Tachikawa & Kohei Hirate finished second, and were joined on the podium by the ENEOS SUSTINA RC F #6 team of Kazuya Oshima & Yuji Kunimoto, who placed third. The grueling 500km marathon saw frequent troubles and inter-car contact, but all six LEXUS vehicles were able to complete the race and score points. 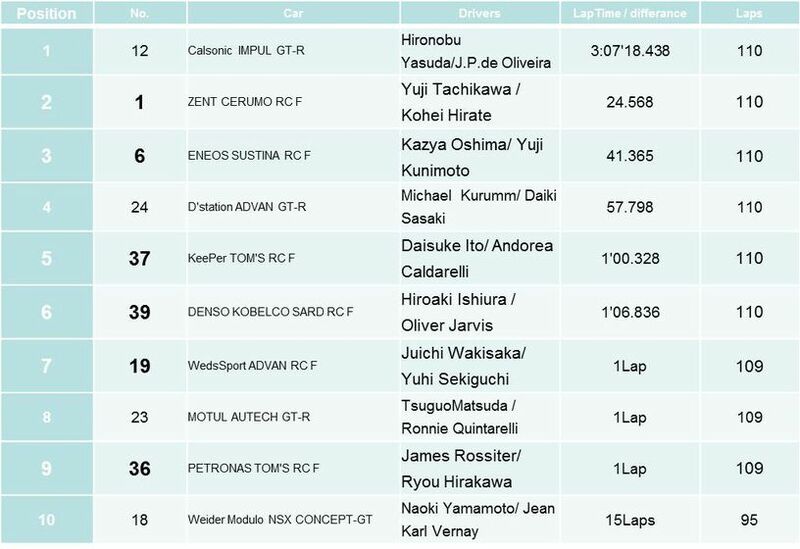 In the GT300 class, the OGT Panasonic PRIUS #31 competed for first place, but an accident resulting from contact with another vehicle and other issues forced the vehicle to fall behind competitors, leading to a sixth-place finish.